Are you just as excited as we are about the upcoming Football World Cup that kicks off on June 14 in Russia? A quick overview: 32 teams, 64 matches, 32 days of football madness. 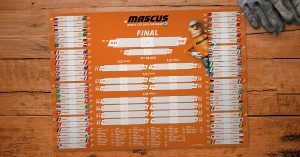 If you want to keep track of which countries play when and who will go further in the competition, we’ve prepared a nice Mascus calendar that you can print out and help you do just that. Keep it on your desk and enter the scores after every match. You’ll never miss your favourite team’s matches! 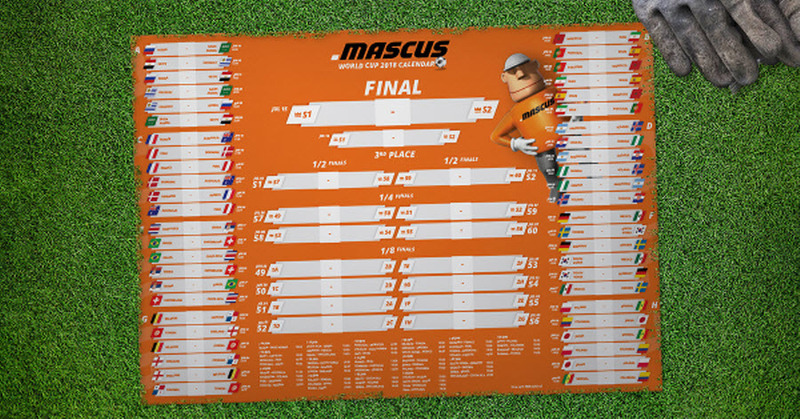 Click on the image below to download your own Mascus World Cup Russia 2018 Calendar! Best printed in colour. For the CEST (Central European Summer Time) time zone Mascus Calendar, click here. For the EEST (Eastern European Summer Time) / MSK (Moskow Standard Time) time zone Mascus Calendar, click here.